2016 began with the assault of LGBT activists but the perpetrators were neither identified nor brought to justice. Although tangible positive changes were noticeable throughout the year, no action has been taken at the state level to ensure that LGBT people feel protected. Among the positive developments for 2016 were the establishment of the “Right Side” NGO which advocates for transgender rights, and the launching of the documentary film “Listen to Me: Untold Stories Beyond Hatred”, in which ten LGBT people talk about their experiences in front of the camera. The reactions of online media on LGBT issues this year were also positive. Throughout 2016, a number of media outlets collaborated with LGBT people and human rights organizations to present their material properly. Nevertheless, the population of Armenia still has a very negative attitude towards LGBT people. In 2016 a study conducted by “Public Information and Need of Knowledge” (PINK Armenia) and “Caucasus Research Resource Center” revealed that 86.6% of Armenia’s population wants homosexuality to be outlawed. The study also found that there are no LGBT people in circles of those with a negative attitude towards LGBT people and those who have LGBT acquaintances, in contrast, are more friendly. 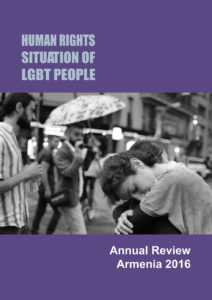 According to another study – “Hate Crimes and Other Hate Motivated Incidents against LGBT People in Armenia”, prepared by PINK Armenia and “Socioscope” Societal Research & Consultancy Center in 2016, 79.7% of 198 respondents have been victims of hate crimes, with 20.3% of them having witnessed hate-motivated violence committed between 2010 – 2016. At the end of this report, there are also recommendations which stem from the study of hate crimes. During the year, PINK Armenia documented 27 cases of human rights violations against LGBT people. 4 LGBT people have applied to the Human Rights Defender’s Office of the Republic of Armenia. 1 of them contacted the Defender’s Office by a written notice and 3 of them used telephone calls for the communication. This proves that despite the existing problems, LGBT people prefer not to apply to state authorities, including the Ombudsman, to protect their violated rights. Instead, they continued to rely on the support of NGOs. In 2016 PINK Armenia has documented cases regarding the violation of the right to life, the right to protection from torture or inhuman, degrading treatment, the right to be free from discrimination and hate speech, the right to a private and family life, dignity and honor, and the right to equality and equal protection before the law. 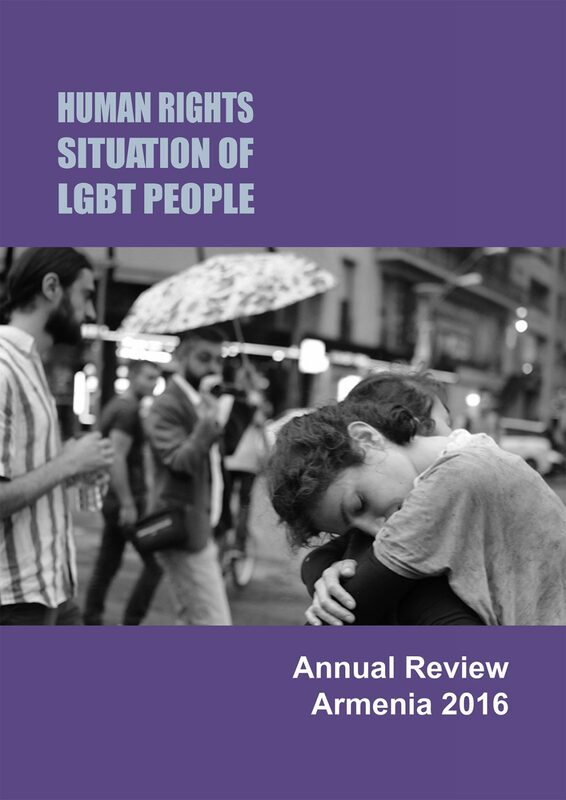 This report summarizes cases recorded and documented by PINK Armenia in 2016, transcripts of interviews conducted with LGBT people, judicial proceedings, and publications from online and mass media. The violation of LGBT people’s rights is presented in the report in the following structure. The main provisions of national and international legislation related to human rights protection that have been violated or restricted in the recorded cases. General descriptions of specific cases of recorded rights violations. At the end of the report are PINK Armenia’s recommendations for governmental bodies, the media, international and regional organizations, the Ombudsman office, the realizations of which will make possible the creation of a safe environment for LGBT people in society, where they can exist as full members of society, and have the possibility to realize their rights and freedoms in a productive way.